I came over to Dublin from Edinburgh in 2005. I suppose it was bang in the middle of the good times. Back then, the atmosphere here was insane; there was so much going on, it was so busy. Ireland and Dublin were really riding the wave at that time. Employment was high, everyone was well paid, everyone had nice cars, you could get a loan if you wanted. Then we moved into hard times, and it’s changed a lot in that regard now. I think people are more grounded; there’s a sense of reality now. I don’t think the ordinary man is as tempted to get carried away. People are more concerned with value and being sensible. I think that’s a positive that can be taken out of the recession. But Dublin has maintained its qualities throughout. There are some other great things that happened during the recession as well; we drew in a lot of big companies to provide jobs, and Beckett Bridge and the Convention Centre both opened. From the Chamber’s point of view, there probably wasn’t enough of that – bigger projects like an underground could have started then. I think if Dublin’s going to realise its potential, those sort of things have to happen. Now I think we’re in a good place. We came through a huge economic downturn and we’ve shown we can handle it. There was already a lot of discussion happening around where people want Dublin to go in the future, and that was why we started the Dublin 2050 survey, to add a bit of petrol to that discussion. We wanted to find out what people want for Dublin by 2050; we need to know what we’re building towards. If you ask people about what they want for Dublin, it mirrors that groundedness that has come from the recession; it’s things like an end to homelessness; it’s better transport; it’s housing; a cleaner and greener city. It’s not like people were asking for an escalator to the stars. The survey was inspired by looking at the younger generations. I hated that when I moved over here people would ask “Why did you move to Dublin? It’s a kip.” I found that an incredible statement to make; I found it quite annoying. But that’s changing. Younger people in Dublin have a real love for the city, and we wanted to try and tap into that to get the views of every generation, but particularly young people because they’re the future. And it’s that younger influence, that more grounded outlook that developed through the recession, that has brought out these basic wants for the future of the county. This sends a message to the government: we want to create an environment where there’s good investments from politicians in citizens. If you look at cities like Copenhagen and Stockholm, the buy-ins are there and the wins are obvious. If you start building Metro North and the underground, putting in proper bus networks, bringing the cycle network up to speed… You can really get people to buy into the idea that the government is working for the people and develop a more trusting society. Sadly, the legacy of the Chamber is that we wear suits, we work for people who drive nice cars, and that sort of thing. But that’s changed and we’re a dynamic organisation which is interested in making Dublin a better place for business, which fundamentally makes it a better place for people to live and work and visit; it’s about people. We may represent 1,300 companies, but we also represent 300,000 people working for those companies. Our work in the Chamber often involves talking with companies about how they can improve things for their employees. That can come down to providing basics like a functioning canteen, or providing showers for people to use having cycled into work. All these things are achievable, it’s just a matter of changing approach. It’s important for companies to provide those facilities, because they’re competing for staff. When you have huge firms like Google or Facebook, they’re able to provide those things. If you’re a small agency with talented staff, chances are you’ll lose them because Google or whoever can provide a particular way of working and living. So small companies need to compete with that, and it’s not just salary; it’s a safe place to park their bike, it’s a canteen, simple enough things. And it’s happening all over the city now. This 2050 survey was about what people want to improve. And there’s elements of Dublin that you’d never want to lose, it’s got so much character about it, but we also wanted to know what people want to change. It can be by looking at other cities and cherry picking what we like about other places and bringing them here. And that ties in with the multiculturalism of Dublin today. I think technology is going to play a huge role in a lot of things people want, such as sensors in bins to alert the council that this bin needs to be emptied. Or in the wheels of bikes that will pick up on where a road needs improvement. People want less cars on the road, and technology will help with that as well. In 10 years time we’ll see city bikes going right along the M50. It’s just a matter of providing the right infrastructure, and the demand is there for that; 50 per cent of people who work in the city centre get there by bike. Cycle networks, housing and public transport were big topics put forward in the survey. But people also want Dublin to be more family friendly, like Zurich. They want Dublin to be green, like Singapore. They want it to be safe, like Hong Kong or Tokyo. We’ve got the cultural aspect of things here in Dublin, so it’s about bringing in those other key aspects. You don’t see the same recklessness that you might have 10 or 15 years ago. And that’s the groundedness that’s come out of the recession; that’s the big change we’ve seen since then. We had a great amount of interest in the survey, and it’s really helping us to paint this picture of where the people of Dublin want their city to be going. It’s about the journey to 2050, rather than the destination. 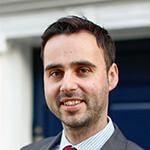 Graeme is Head of Public Affairs in Dublin Chamber. 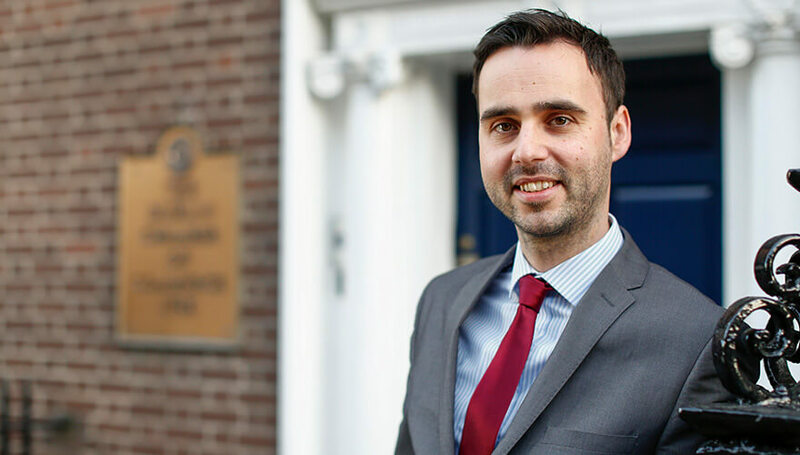 Graeme grew up on the outskirts of Lockerbie in south west Scotland and moved to Dublin in 2005. In 2013 he published a book called 'Start It Up', which detailed the startup stories of 20 successful Irish entrepreneurs. He lives in Dublin 7. If he's not on the golf course you'll find him in Dalymount Park every second Friday cheering on Bohemians.